Do you need a new foot for your UPLIFT 900 Desk? You can order one in any color. If you are switching to a smaller desktop and need feet that won't stick out, you may want to look at the UPLIFT Short Foot listing. 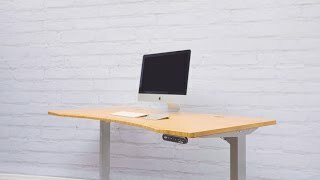 The UPLIFT C-Frame Desk Standard Foot comes in your choice of black, gray or white to match your UPLIFT 2-Leg Desk Frame or UPLIFT 3-Leg Desk Frame.